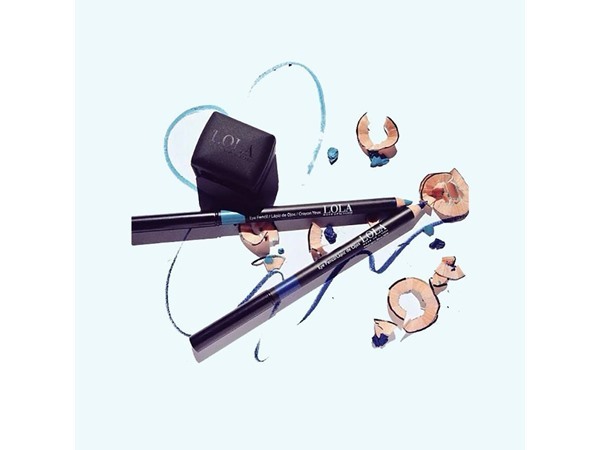 How many stars do you give Automatic Eye Pencil by LOLA Make Up? 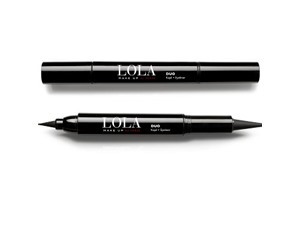 LOLA Make Up Automatic Eye Pencil is available to buy at LOLA Make Up. This ultra-slim retractable twist-up pencil delivers precise application every time. The almost gel-like formula makes it easy to apply, ensuring lines are clean and accurate. With excellent colour coverage, its non-oily formula contains Carnauba and Candelilla waxes which make it softer to apply. Once dry, the pencil is resistant to melting in warmer temperatures and it comes with a handy sharpener on one end so you can always have a precise application. I am in my teens with dry, olive tone skin and unknown eyes. My hair is unknown, unknown with unknown texture. Lickle-Boo, Frantastic91 and nikola300 like this. Sent free from GlamGeek I was lucky enough to win this Eye Pencil from GlamGleek for being their reviewer of the week. This pencil is BRILLIANT. I can smudge it; I can blend it or leave it alone. Once I have applied it, it stays where I have put it. I have used it to draw a thin line close to my lashes and a thicker line when I am not wearing eyeshadow. It stays all day and is easily removed with Micellar Water (I used IT Cosmetics) and a cleansing balm (again IT Cosmetics). I did not have panda eyes, this attractive black rings around your eyes when eye make up won’t come off. You can easily create a winged eyeliner look with it. It doesn’t drag across the eye lid like some pencils can and the ability to increase or decrease the amount of ‘lead’ showing is great as this helped me create the winged part of the liner look by placing the pencil against my eye and slowly pulling it down towards my lash line. I have had a look at their website and the colours – are all the colours I like to wear. I think I will treat myself to the grey one next. MakeUpGeek, Frantastic91 and nikola300 and 2 others like this. It is a great product isn’t it! LOLAMAKEUP and WonderWoman43 like this. Well done Lola! I recievwd this to review and I’m actually blown away! I don’t use lots of liner as I’m not the best at it but this was really easy to use! The pigment is strong and it lasts really well! 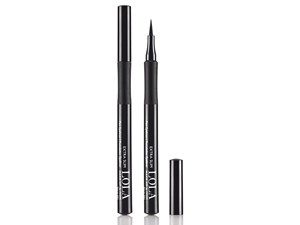 It glides on and really easy to apply even for liner dummies like me! GlamGeekClaire, MakeUpGeek and Ashli and 6 others like this. 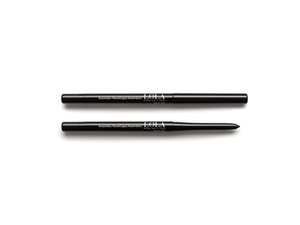 #Glamgeektrial This is an intense black liner that glides on and stays put. It has a fine retractable tip that makes it easy to apply and is soft but doesn’t squish when applied a little heavier. I really like the twist up feature. Theres enough play time to blend it and make a soft smokey look and the fine pencil tip gives you clean cut lines. 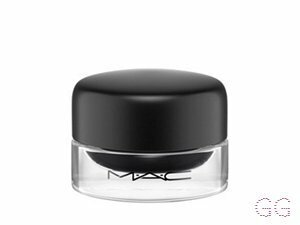 With the added bonus of a sharpener, a lid that stays on and the lightweight sleek packaging makes this a really nice product that’s worth the rrp. MakeUpGeek, Amestarz and BhavyaM and 4 others like this. I really like this. It isn’t a catchy and glides on with strong colour that lasts. I like that it is retractable and has a sharpener making it very handy and practical. Using both the eyeliner and mascara together is a winning combo for daytime or evening and I’ll really like the products!  GlamGeekClaire, MakeUpGeek and Lickle-Boo and 7 others like this. I'm obsessed with eyeliners; I think I've confessed that many times before but I'm not guilty of doing so. For the last 25 years as an Indian classical dancer; I've tried a tons of eyeliners, especially while performing on stage it's all about the definition of the eyes. This Lola eye pencil reminded me of those traditional khol/kajal pencils that I've used for my performances. 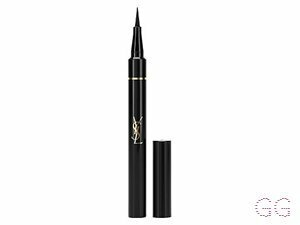 It's highly pigmented, very creamy in texture, easy to draw and defines my eyes so well!! The biggest disadvantage with the traditional ones are that they easily smudge off and I need to retouch between my routines. But this one didn't budge a bit and It's definitely worth the price. The creamy texture made it easy for me to blend the liner for a smokey look. I've just been using this pencil in combo with the lola mascara and both together works like a magic. Wow. I have never got on with eyeliners, they tend to smudge out really easily and leave me with panda eyes especially underneath. This liner stayed put all day for 13 hours! Still visible clear black line and no smudge it bleeding at all!! Wore in a more smokey blended line today and still set in place . I am extremely impressed by this. Lots of eye pencils claim to stay out all day but this is the first one I've tried that really does. The colour is true black too. 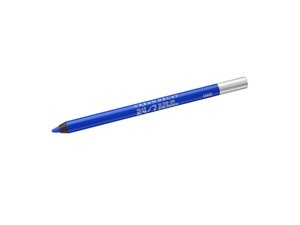 The pencil is smooth and glides very nicely across the eye line. Would definitely recommend. I finally found the hidden sharpener too after noticing others mention it. Amazed! A real eye opener for a liquid liner fan! MakeUpGeek, Ashli and Na1357 and 13 others like this. GlamGeekClaire, Lickle-Boo and LOLAMAKEUP like this. I received this to review recently. As I get older, with the skin on my eyelids becoming more wrinkly, I have to be very careful not to choose eyeliners that don’t exaggerate those wrinkles by bleeding or that drag on the skin. 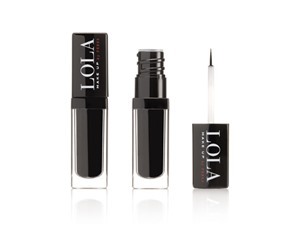 This Lola eyeliner is fantastic! It’s incredibly soft so I can get a really smooth line without it bleeding or ‘catching’. Better still, it’s a beautifully intense black and remains so throughout the day. It doesn’t smudge or smear off or transfer onto my eyelids - bloody fantastic! ✨I used this for the first time yesterday and I am very impressed! 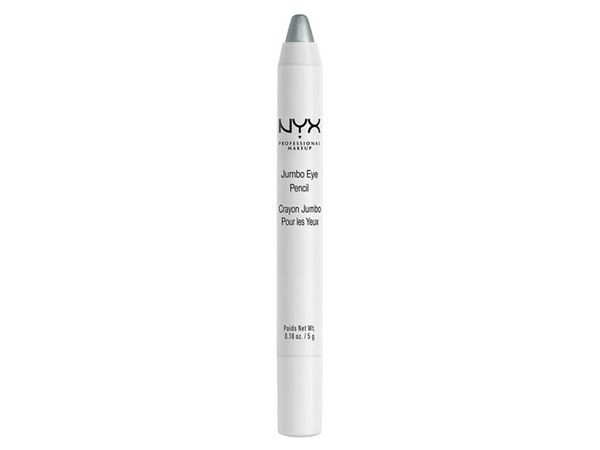 It glides on like a dream in the waterlines and the application is extremely smooth and easy. I love the fact this liner is an automatic one which requires no sharpening which is very convenient! I combine this liner with my new Ciatè Stamp and Drag Eyeliner which looks stunning - it leaves my eyes looking full and doe eyes. The pigmentation is fantastic - it’s a very true black. Love it! GlamGeekClaire, MakeUpGeek and Beautyviews and 9 others like this.